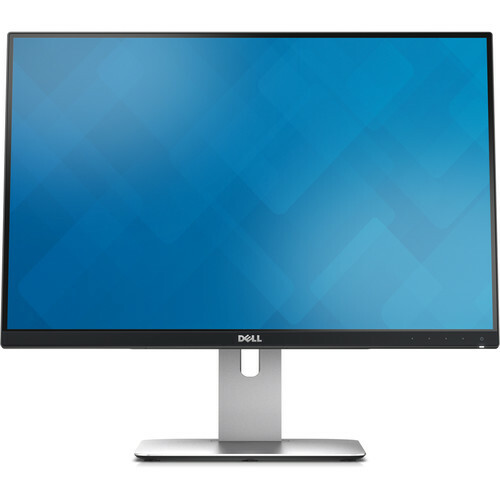 I recently purchased a new Dell U2415 monitor from B&H and so far it’s awesome, in fact I’m using it right now. This new monitor was added in addition to a Dell 2408WFP that I purchased quite a while ago… This isn’t a review, but I wanted to share some interesting numbers about temperature… not color temperature, but actual heat put off by the monitors. Using my trusty digital thermometer I took a few readings, and well, I was a little surprised, but not really, at the results. The U2415, being a LOT newer, produces a LOT less heat. Something that if you are sitting in in front of the monitors on a hot day you can really notice. From those numbers, you can see that the older 2408WFP is about 27% warmer on the back of the display and about 30% warmer on the screen. What does the correlate to? Well I don’t really know, but sitting here, I can definitely feel the difference. The 2408WFP is off to the right of me, and the right side of my face can feel the heat from the screen… And I’m sitting about 2′ from the screen. Also, I am only running the monitors at 35% brightness, so they are not maxed at all. But just from these numbers alone, I’m probably going to replace the older 2408WFP with another U2415.